Living off the grid sounds daunting. The phrase conjures mental images of freezing winters, grueling treks carrying firewood through blizzards, and punishingly distant access to the perks of civilization. While there are certainly many people who love to live like that, being off the grid really just means that you’re producing your own power to some degree, either entirely or in part — less Jack London or Henry David Thoreau, more tax credits and solar panels. You don’t have to be a dedicated mountain man to enjoy off-grid living, but you should definitely weigh the benefits and drawbacks of moving towards renewable energy. Here’s our analysis of the pros and cons of going off the grid. Despite the initial cost, installing renewable energy will save you plenty on your monthly power bill. The amount you save will differ depending on the state you live in and the systems you use, but the average monthly savings from solar panels alone is around $84. 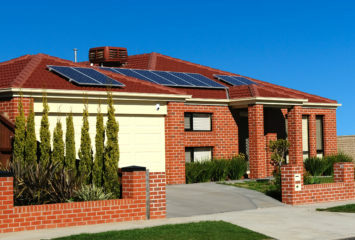 Most solar panels have a projected lifespan of over 20 years, so the savings can add up to over $20,000 in most states. Aside from the lower base cost, you can further cut your monthly bill by selling surplus energy back to your power company via net metering. Several states also require utility companies to produce a regular quota of renewable energy certificates, or RECs, each year, providing further economic benefit if you’re comfortable dealing with the market. While you do need to be tied to the grid for these methods to work, they can be helpful if you’re planning on using local energy sources to supplement your own power generation or if you want to keep some ties to your local provider while you transition to completely grid-free living. If you prefer wide open spaces, refreshing views of nature, or the peace of rural life to noisy, rude neighbors or overbearing HOAs, you can benefit from renewable energy. Producing your own power will give you the freedom to live just about anywhere. Connecting a remote residence to the electrical grid can be a major hassle — you have to jump through regulatory hoops and pay anywhere from $5 to $15 per foot of distance between the service pole and your home. However, the flexibility of renewable energy provides a simpler alternative solution: it removes grid dependence entirely. If you don’t need to stay connected to a power grid, you can avoid the long and costly process of getting your land connected to everyone else. Global warming has been a major topic of global political discussion, and with good reason — climate change is projected to significantly alter the way we live over the next century. Switching to renewable energy and staying off the grid can lessen global emission rates. The impact you can personally make by going off the grid is huge. Over the course of 30 years, a single residential solar array will offset 178 tons of carbon dioxide, and a personal wind turbine will offset 200 tons of greenhouse gases over the same amount of time. Using both can significantly reduce your carbon footprint. Renewable energy requires a significant financial investment upfront. A 5 kW home solar panel array costs between $11,200 to $14,400, and a 10 kW wind turbine costs around $48,000 to $65,000. Even though you’ll recoup those expenses over time, the initial price can be a major obstacle to living off the grid. Renewable energy also favors certain locations over others — solar energy generation slows drastically in cloudier places, and wind energy is unfeasible in any property smaller than an acre. Tax breaks and rebates are only available in certain states, and sometimes staying on the grid can be significantly cheaper in specific parts of the country due to lower local energy rates. Taking control of your own energy production is complicated and requires a lot of research. You will need to determine which system will benefit you the most, and once you’ve settled on a setup, you’ll then have to figure out which parts of your property receive the most exposure to your chosen renewable energy sources. After installation, renewable energy systems also need regular upkeep. Most solar arrays are self-cleaning as long as there’s adequate precipitation, but systems in arid locations may need regular washing. 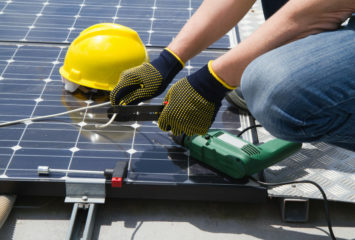 You will also need to receive a yearly maintenance check to make sure your solar panels are performing correctly. If you opt for a home wind turbine, you’ll have to replace the bearings and blades after around 10 years, all while staying on top of regular bolt, connection, and guy wire checks. Americans use more power than almost anyone else in the world. Depending on your usage habits and the size of your family, renewable energy systems might not meet your electricity needs by themselves. Users with larger power demands, urban users, and those in less sunny or windy climates may need to stay connected to the grid to supplement their renewable energy with power from their local providers. 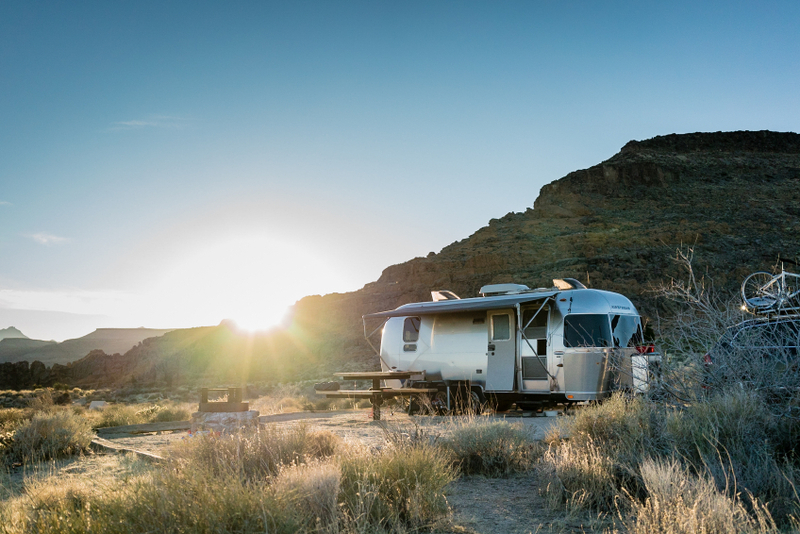 If you’re dedicated to living completely off the grid, you’ll need to consider your current lifestyle and make changes to conserve energy wherever possible. You may need to downsize your electronics collection, make a habit of turning off lights and appliances when not in use, and find alternative ways to cool your home in the summer — all of which may prove challenging if you’re accustomed to a certain level of connectivity and comfort. Living off the grid requires time and dedication, but many find that the benefits are worth the extra effort. If you’re looking to escape the confines of the urban sprawl, make the switch to renewable living today.